Here you will find a variation of ear plugs for different types of needs. More attenuation isn't always better so if you have any question please don't hesitate to contact us. 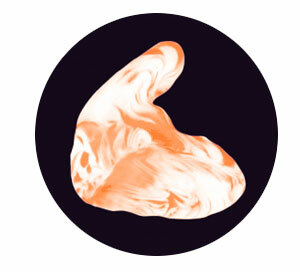 Musicians ear plugs are engineered to mimic the natural response of the open ear. Sound retains its original quality but is quieter. Conventional ear plugs muffle speech and music and reduce sound more in the high frequencies. In contrast, musicians ear plugs allow you to distinguish each tone, hear the blend clearly, and feel the bass. Looking for the highest possible sound attenuation? These plugs are ideal for individuals exposed to industrial noise, construction equipment, or recreational activities with high levels of noise such as woodworking, shooting, or motor sports. These plugs provide up to 29dB of attenuation. Full noise ear plugs are preferred over disposable foam plugs as they are far more comfortable and less expensive in the long run due to their long lifespan. These plugs are the ultimate in comfort while sleeping and ideal for that snoring spouse. Additionally they protect and provide comfort from annoying outside noises such as traffic, or poorly insulated or soundproofed buildings. This style is also of benefit for recreational activities such as motorcycling, motorboating, snowmobiling, ATV riding, or any individual who needs to wear a helmet over top hearing protection. Bottom line: Swim molds keep water out of your ears. If you are prone to ear infections or just don't like getting water in your ears this is the perfect product for you. Keep your ears dry and your molds safe with our floatable option ($10), and choose from a variety of colours. Feel like making them fun? Add swirls for an extra $10! Whether you have traditional earbuds or in-ear monitors with a nozzle, you are able to secure them in your ear with custom earmolds. Having the earmolds securely holding your earpiece in your ear it will channel the auditory signal to the wearer’s ears for optimal and consistent sound quality and exceptional comfort. Don't need custom earplugs? These earmuffs will provide comfort and have a Noise Reduction Rating (NRR)b 28 dB. The wire headband offers consistent pressure over prolonged wearing periods. Additionally, the earcup pivot points tilt for optimum comfort and efficiency. Comfort, design and protection all come together in this groundbreaking earmuff.